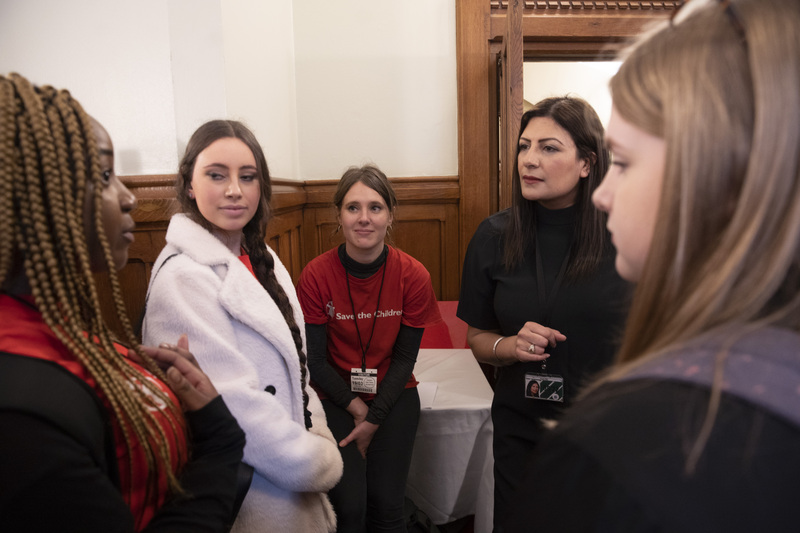 Preet Kaur Gill MP joined more than 60 activists including 24 school children at Westminster to support the hand in of a peace petition to the Foreign Office. The activists want the UK government to hear them standing up for the children of Yemen and turn political promises into practical change at the UN Security Council. More than 20 British school children aged between 11-13 years of age have been working with Save the Children campaigning and fundraising for children in Yemen. The slim window of opportunity to secure peace in Yemen is now and Preet joined British children and campaigners to show solidarity with the children of Yemen. "I am delighted to support Save the Children’s petition hand in. These British children believe the children of Yemen deserve a better future, witnessing their determination to hold our government to account is a reminder to us all that we must be persistent in our pursuit of peace. Following four years of conflict the civilians of Yemen continue to fight for survival. For the sake of Yemen’s children, we must urge our government to use its influence at the UN Security Council and create a future without conflict."